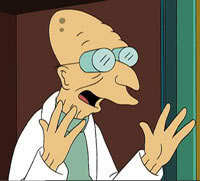 cyberseraphic » Good news everybody, it’s bad news! You do realise the report about Mercy Ministries the Sydney Morning Herald put forward was true, don’t you? Hi mella, thanks for your comment. I deliberately adopted a neutral tone in regards to the issue because that isn’t what I wanted to speak about. However, I should point out that the word expos� is defined as (1) an exposure or a revelation of something discreditable, and (2) a formal exposition of facts. If you read through the rest of my blog you’ll know that I don’t often mince words. If you want to know my full views on the topic, I encourage you to read the full discussion that was linked in the post. I can’t access that page because I’m not a member, so I’m not sure what your views are. I know a girl from my church who went there though and I’ve seen the exorcism materials they used on her. It screwed her up badly for a very long time.